The 2019 winter season is almost here! Our ski holiday packages to Lebanon are ready and in our humble opinion they represent the best values around. Our week day packages are again the best deals available as they you can take advantage of both lower hotel rates and ski lift passes. Our “Ski Lebanon” trips come with stays at the usual hotels we book, specifically the ski in-ski out InterContinental Mzaar Lebanon, Mountain Resort and Spa and the Merab Hotel near the slopes of the Mzaar ski area just above the village of Faraya. Again for 2019 all our skier and snowboarder customers can enjoy a 20% discount on equipment rentals at all Pic Blanc stores, with one of its ski shops very conveniently located inside the InterContinental Mzaar Mountain Resort and Spa, Lebanon. Enjoy three full days of ski at Lebanon’s premier ski resort and stay at the cozy Merab Hotel for as low as only Euro 430* per person. Perfect for those that can not take more time off work! Includes flights between Larnaca and Beirut, transfers between Beirut airport and Mzaar ski resort and Bed & Breakfast accommodation on double occupancy. For up to date prices, please call our direct ski line at 22663477 or email us for an individualized quote for your ski package to Lebanon’s Mzaar ski resort that is tailor made just for you. Varianos Travel is committed in delivering to our customers the best deals around and we believe our ski holiday packages to be the best value for money offers available to winter sport lovers in Cyprus. Book early to take advantage of discounts available by calling us at 22663477 or email us today. We usually offer our ski holiday packages to Mzaar ski resort in Lebanon with the hotels below. We can, however, offer more choices should they not be available at the dates you want. The InterContinental Mzaar Lebanon, Mountain Resort and Spa is the only five star deluxe hotel located in the ski resort area of Faraya Mzaar in the village of Ouyoun el Simane in the Kfardebian area of Mount Lebanon (Mont Liban). It sits at about 1850 meters above sea level and is approximately an hour’s drive from downtown Beirut. It features 131 rooms and sports some amazing facilities; including a unique “convertible” indoor/open swimming pool, a world class spa and offers fine dining in its five food and beverage outlets. Of course during the winter season the biggest attraction is the private ski slope of the hotel situated virtually on its doorstep (the Refuge), which connects to the rest of the ski resort of Mzaar previously known as Faraya. Couple all these with the traditional Lebanese hospitality and it is no wonder that the InterContinental Mzaar Lebanon Mountain Resort & Spa is our best selling skiing and snowboarding destination. 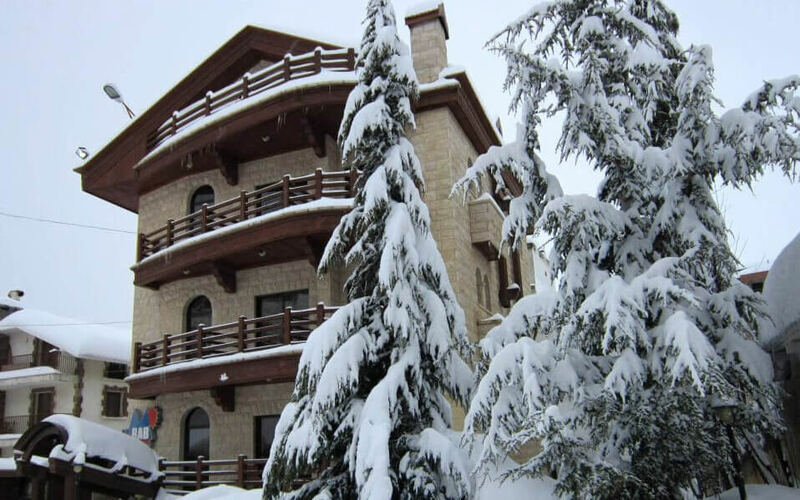 Located within walking distance from InterContinental Mzaar hotel’s ski lift, the Merab Hotel and Chalets offers great value for money to the active skier that wishes to visit the Mzaar ski resort in Lebanon. The three star Merab Hotel right on the slopes of Mzaar is really two hotels into one with 15 rooms and one penthouse suite. The all chalets extension compliments the small but cozy hotel. Customers of both the Merab Hotel and the Chalets benefit from a shuttle to the Mzaar ski resort’s main entrance. The Merab Hotel is adjacent to Chez Mansour, a trendy bar and restaurant and Mansour Shop, one of the largest small shops you will ever be in. Free WiFi is available in Merab Hotel’s lobby. Holders of passports with an Israeli stamp will be denied entry to Lebanon. Passports of customers must be valid for at least six months from date of entry to Lebanon. Reservations can only be considered firm with down payment of 25% of package. Round trip air ticket with Middle East Airlines, Lebanon’s national carrier between Larnaca, Cyprus and Beirut, Lebanon. Beirut Airport-Faraya or Mzaar area Hotel- Beirut Airport transfers. Accommodation and meal plan as described in each ski package. Entry visa fees where applicable. 25% of package is due within one working day from reservation. All packages must be paid in full at least 21 days before departure. If children under 12 are traveling, dates of birth must be advised at time of booking. 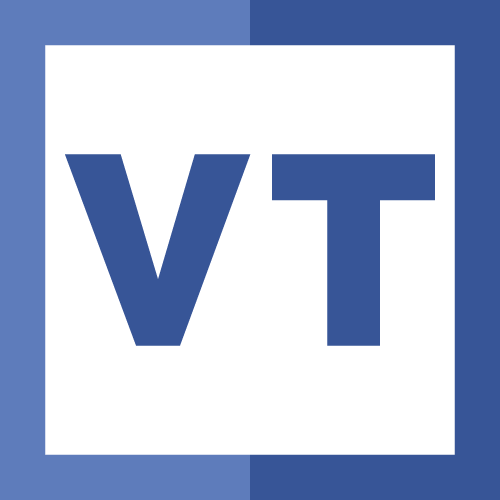 Varianos Travel holds the right to change its prices without prior notice. Changes will not apply to customers having made a payment for their packages. Varianos Travel will not accept any responsibility for any strikes or delays that may affect the trips and are beyond its control. Our Lebanon winter packages are the best deals you can find in Cyprus for a ski or snowboard holiday. Prices depend on many of factors including dates, number in your group, hotel special offers and flights availability. As flight prices to Beirut from Larnaca continuously change we do not publish our prices online. Please call or email us for an individualized quote for your ski package to the Mzaar ski resort and Lebanon according to your preferences and the lowest flight prices available. 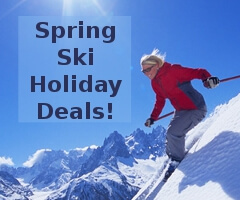 We are committed in offering our ski customers in Cyprus the best deals possible. Put us through a test!